With the beginning of a new year, the internet is a-buzz with resolutions about saving money and getting out of debt. We have a few of our own goals, and since our savings challenge went well last year, we are doing it again this year with a few changes. As Christians, we share a lot on this site about finance from a Biblical perspective. We believe the Bible has answers for many of the financial situations people find themselves in, and that God’s desire is for us to have a healthy relationship with money as a resource, while not allowing the love of it to take root in our hearts (1 Timothy 6:10). 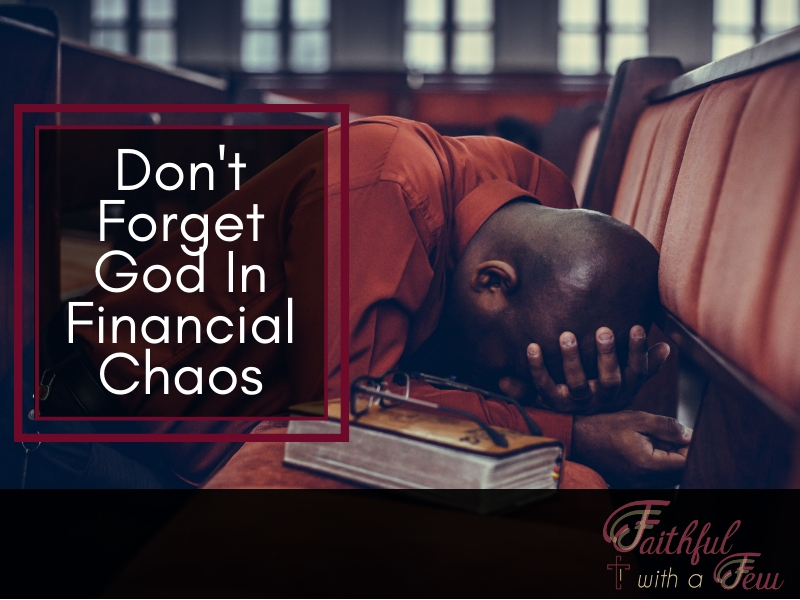 When we are weighed down by financial stress, or are singular-minded in our desire to overcome debt’s hold, it can become easy to focus on our own abilities or helplessness and forget that we have a heavenly Father who sees our situation, is in control of it, and actively involved in working it out for His glory! I have to be reminded that my finances are not separate from anything else in my life, and certainly not separate from my spiritual life. The same Biblical truths that govern everything else, should apply to how I view my financial situation. Whether I’ve made made poor financial mistakes and gotten myself into a mess, or am doing well and trying to decide what to do with the surplus funds I am taking in – God cares! In the sermon on the Mount, Jesus reminds the people that our Heavenly Father knows what we need and that he will take care of us (Matthew 6:28-33). While we should (prayerfully) plan and be diligent, those things should not lead to unhealthy anxiety and worry. Whatever is out of our control can never be out of His! We are not alone in our sea of financial concerns just as we are not alone in our relationships, in our problems, in our struggles with sin. As you consider your next step on your financial journey, remember Who is walking with you, and already has the future all mapped out. Many Christians struggle with contentment: the inward state of satisfaction (regardless of the outer circumstances), yet that is what God wants from His children. Contentment does not equate to complacency or surrender, nor does it mean that you have to put on a pretense of joy in times of hardship. In many places, including the passage above, the Bible exhorts us to look to Christ as the source of our strength and our joy. Your happiness shouldn’t be determined by whether you can afford a certain luxury, or pay off your student loan. Those things are nice, but the contentment in your heart should not be affected by them, not if the true source of your happiness is the Lord. One of my favorite passages, and one I’ve heard many times in my life is Romans 8:28 “And we know that all things work together for good to those who love God, to those who are the called according to His purpose.” It used to make me feel great because it meant that eventually things were going to be okay. But there is more than just the first half of the sentence, the last part is equally important “called according to His purpose”. Being a Christian means that my life is not my own, I follow and serve Christ. There are other passages that talk about the need for our focus to be on God and glorifying Him, like 1 Corinthians 6:19-20, or the end of the passage from the sermon on the Mount that I mentioned earlier – Matthew 6:33 “But seek first His kingdom and His righteousness, and all these things will be added to you“. Even though things may not happen in the time frame you’d like, or the way that you’d like them to turn out, remember that God’s plan for you is bigger than what you have for yourself. The things that we go through serve reasons that go beyond our temporal success or satisfaction. While we are alive, we are also being made holy, and sometimes that happens through trials (James 1:2-3). That is only one of many possible reasons, we may never know the answer to until we meet the Lord. As you go through your financial journey this year, whether with hope, gusto, or trepidation, please remember that God is your source. He is your strength, and your great reward. Proverbs 3:5-6 “Trust in the Lord with all your heart And do not lean on your own understanding. In all your ways acknowledge Him, And He will make your paths straight”. 5 Reasons Why You Need a Budget! If I asked you to tell me how much you spend eating out or buying gas each month, could you tell me? What about your household’s true cost of living? 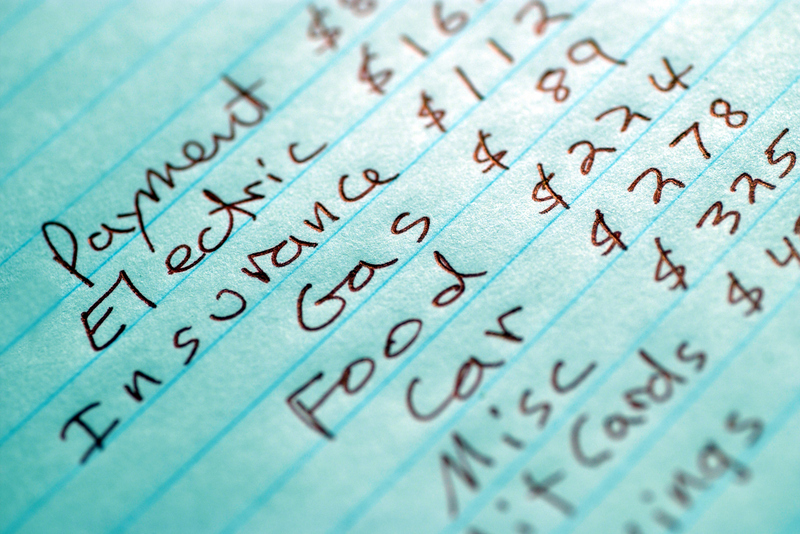 This is the most basic reason you need a budget: To be able to plan and track where your money goes! Most people who I speak to about their finances have no clue how much they spend on a monthly basis. All they know is that by the end of the month, their bank accounts are nearly empty and they are waiting for their next paycheck. Even if you don’t find yourself scraping together pennies at the end of the month, you still need to have a budget in place. In order to take control of your finances you need to come up with a plan. 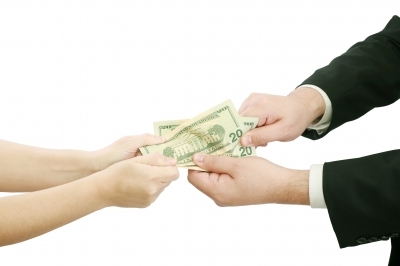 This means assigning a job to every dollar that you receive before you ever receive it. How? You need to create and update a budget in order to plan and keep track of your spending. This goes both ways – if you don’t keep track of your spending, then creating a budget is pointless. You have to periodically evaluate your spending to ensure that you are staying on track. It will be nearly impossible to accomplish a financial goal without a budget – of course it can be done, but with a lot more hassle and waste. With a budget, you can allocate a specific amount toward your goal – whether it be savings or debt repayment – and ensure that it is reasonable. It will also be easier to accelerate your plan by reducing spending in one or more areas and funneling that money into your “main goal”. If you look at our 52-week savings challenge results, you’ll see an example of how budgeting can help you reach a financial goal. If you find out today that your job will be cutting your salary, or implementing furloughs (mandatory, unpaid days off), how would you handle it? Would you be able to make the necessary adjustments? If you keep track of your spending (which will be necessary to follow a budget), it will be easy for you to make these adjustments. You will be able to look at every area of spending and determine where you need to cut back – or even if it’s worth it to try to increase your income. Learn how to set up a financial contingency plan (and no, it’s not as simple as having an emergency fund)! Most people who make small daily purchases (like coffee, breakfast, or lunch), are shocked to see how much they’re really spending in these areas. It’s easy to spend $5 on a cup of coffee and a bagel in the morning, $3 on a candy bar and soda from the vending machine, and then spend $6-$10 on lunch without even thinking about it. However, if you have established a budget, it will become increasingly difficult for these expenses to escape your attention. The first month after you set up your budget will probably be a big eye-opener for you (it definitely was for me). Remember that coffee, candy and lunch from above? You would probably budget about $50 or $75 to that category. However, 22 days (the typical amount of work days in a month) of that type of spending will cost you nearly $400 every month! Committing to (and adjusting when necessary) a budget will help you to evaluate this type of spending and decide if you should divert money from another category, or change your habits! 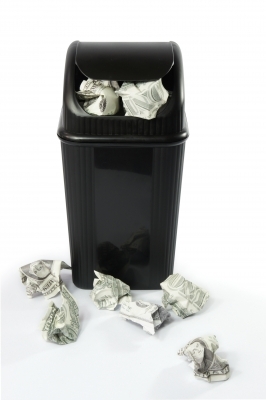 Similar to looking for areas of waste, this will call for you to identify areas where you can reduce or eliminate spending. Once you allocate your income across living expenses, giving, debt repayment and savings, you may find that you have money left over (a problem that we all would love to have). Instead of this money just being absorbed into your spending (something that usually happens without a budget), you will be able to give this surplus a new assignment. This, of course, depends on your exact situation and level of risk aversion. You may choose to give more, accelerate your debt repayment, increase your savings, or master your investment strategy. The point is that having a budget will easily allow you to identify these opportunities. This is accomplished in a few ways. First, you are forcing yourself to tightly control your spending, which will call for discipline – especially if this is the first time you have done this. Secondly, by constantly monitoring your finances and having to make small adjustments, you are more aware of every financial decision you make. By holding yourself accountable for every dollar that you spend, you will tend to evaluate your free time in the same manner. 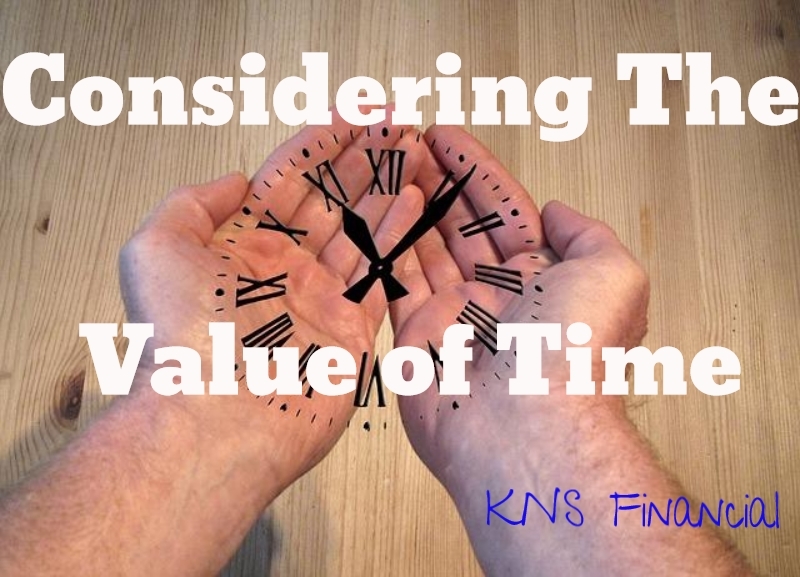 For instance, you will begin to consider the value of your time in terms of money and lost opportunity, which may cause you to re-evaluate your decisions. These are just some of the reasons why you need to develop a budget. Over the next few days, we will look a few painless steps you can take to create a budget, and also to change your thinking about money! What are some of the benefits that you see in having a budget? How often to you review your spending to ensure that you are within your budget? Have you ever discovered that your budget was unrealistic? A successful man or woman gets to the point where they realize they do not have the time to manage their investments, but without asset management, a lot of hard work can disappear due to losses on your investments. If you have reached the point in your career where you have this problem, you need to hire the services of a wealth management firm. You may already have some assistance with your investments, such as those found with a stock broker or an investment firm, but wealth management goes far beyond picking stocks. A wealth management firm will look at the portfolio of your total assets and not just your investments in stocks. Equally important, is that a comprehensive approach includes taxes as well as return on investments. When investing, there are always tax implications that go far beyond income taxes. You can easily calculate your income tax if you sell an asset, but there are many ways to reduce your taxes on the sale of an asset. There are also smart ways to invest your money that incorporate tax credits and deductions into the equation for a maximum return on investment. Combining tax knowledge and investment skills open up areas of wealth management that goes far beyond what you can do yourself or what a typical investment broker for stocks and bonds can do. These are tax-free bonds, but they are not without risk. When purchased with knowledge, experience and good research, they represent an outstanding investment. It is often tempting to simply look at the tax-free aspect of these bonds and attempt to buy them yourself, but without buying the right bonds, the tax-free element may not be worth the effort. You need a wealth management firm to select the right municipalities to invest in, because in today’s economic environment, cities can go bankrupt. Along with the security of the bond, you want to also maximize your return. Combining an interest rate, with the tax advantages is best done by those who understand bond investments and also have the skills of a tax accountant. Because all of your assets are being managed, wealth management becomes personalized. Not only is there a strong interest in what you want to achieve financially, but your total portfolio of assets will be designed to reflect your personality and preferences. If there are certain types of assets you do not want to purchase, for whatever reason, these assets will not become a part of your portfolio. With a wealth management firm, your asset portfolio will reflect who you are, not only as an investor, but as an individual. Common investment brokers do not approach this level of personalized service. Wealth management is something that will benefit you and your loved ones for the rest of your life, and with the proper estate planning, a wealth management firm will benefit your loved ones long after you have passed away. Selecting a wealth management firm is not something that should be done quickly or without contemplation. This type of firm must have the experience and skills to take a comprehensive approach to your entire asset portfolio. There are several firms that have these characteristics. When people begin to invest money, they’re usually hungry for early results. They may approach investing with the conviction of a recent convert, saving and investing as much money as they can, even to the point of neglecting other needs, such as putting life insurance before investing. This is understandable, and quite natural, particularly if you are either young or relatively new to investing. In spite of your enthusiasm, it is important to make sure that you have a few basics covered before you begin investing. One of those basics is life insurance. Investment advisers and financial planners commonly recommend that before you begin investing you should have a well-stocked emergency fund. That can include anywhere from 3 to 6 months of living expenses. The purpose of the fund is to make sure that you are protected from any income disruptions or large expenses that might force you to tap your investment portfolio ahead of schedule. The fund enables you to carry on with the business of life, while keeping your investment portfolio protected from early withdrawals. In essence, what an emergency fund does is cover a contingency – a temporary loss of income, or the unexpected arrival of a big expense or two. A life insurance policy functions similarly as a contingency plan. It creates a basic survival plan for your family or any other dependents that you have in the event of your death. This is a fundamental need, which means you should have adequate life insurance before investing. 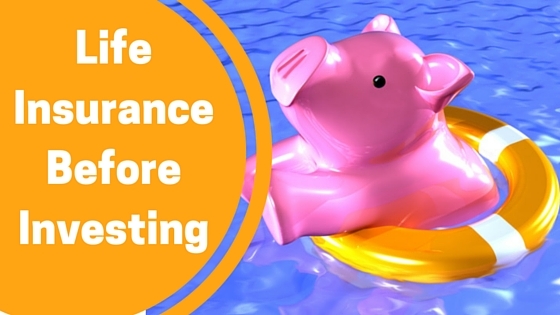 There is sometimes a thought that you don’t need life insurance, since your investment portfolio will eventually grow to the point where you will be effectively self-insured. This notion is especially popular among the young, since the prospect of their own death seems so remote. The problem with this thinking is that it may be many years before you reach the point of being anything close to being self-insured through your investment portfolio. Let’s say that right now you have $10,000 to invest, but you fully expect it to grow to over $100,000 within the next 10 years. Maybe at that point you will be something close to self-insured, but what happens if something happens to you between now and then? What happens if you die when you only have $20,000 in investments? Future wealth will not protect your family if something were to happen to you today. That’s the whole purpose of life insurance – as a contingency to take care of your family’s financial needs before you have the money that a large portfolio will provide. One of the biggest advantages of life insurance is that you can quite literally buy six figures in coverage for just a few hundred dollars per year. This is especially true if you are in your 20s or early 30s. 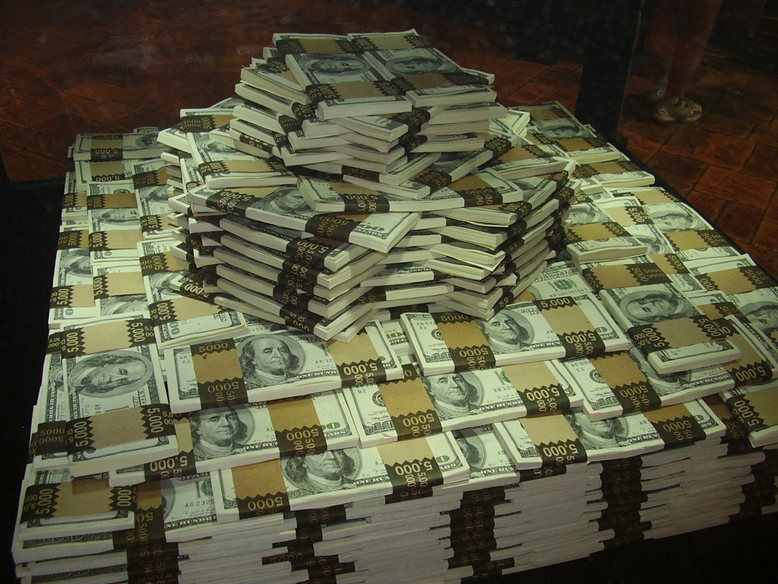 You may be able to buy $250,000 in life insurance for just a few hundred dollars per year. If you are just starting out as an investor, it will take you many years – even decades – to accumulate that much money. There may sometimes be the thought to keep your expenses as low as possible in order to maximize the amount of money that you have available to invest. If a large life insurance policy is only going to cost you $500 or $1,000 per year, it won’t be taking much away from your investment efforts. And the benefit that you will have as a result of paying the relatively small premium will be enormous for your family. It’s natural to be optimistic when it comes to investing. In fact, optimism is virtually essential to a new investor. But it is a sad fact that investment plans don’t always turn out the way we want them to, despite our best efforts. Stock markets crash, individual investments blowup, and sometimes we need to tap investment portfolios early for unexpected reasons. The point is, investing is never a guarantee. And just in case it doesn’t turn out as well as you hope, your life insurance policy can back you up with a plan to cover your family in the event of your death. You’re probably well acquainted with the idea of investment diversification. But not all diversification efforts are neatly contained within an individual portfolio. Some of the best forms of diversification you can have will be outside your portfolio. This can include an emergency fund, fixed income investments (like bank assets), and real estate. But insurance can also be a form of diversification. As discussed above, it is a fail-safe against your death, at least until the time arrives that you have enough money saved and invested that you no longer need to maintain the policy. If you can think of life insurance as a financial instrument that complements your investment portfolio, having it will seem more logical. And not having it can seem like an exercise in being penny wise, and pound foolish. If you are an investor, especially a new one, do you have a credible life insurance policy – just in case? If not, then you need to make sure you pick up some life insurance before investing another cent!